Remember that hand-eye coordination, now. The popular indie hit, Surgeon Simulator has finally reached the PlayStation Store, bringing forth the ultimate edition of the game on PS4: Surgeon Simulator A&E! Why not bring along a friend to join in? 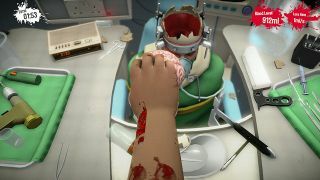 For those of you who are not aware, Surgeon Simulator's challenge comes from the game's control rather than direct obstacles (think Octodad: Dadliest Catch). 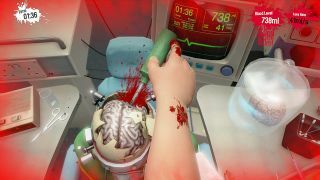 Players assume the role of a surgeon from first-person view, controlling a single arm and hand. 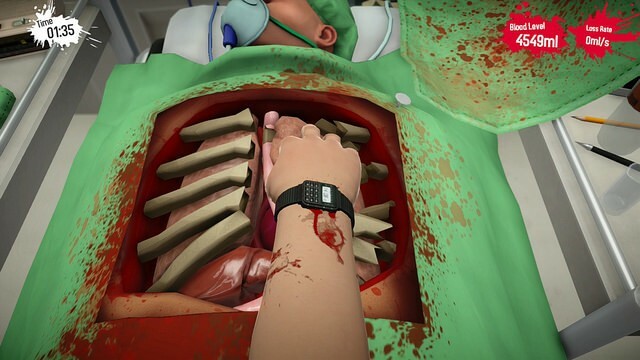 Each finger is controlled by a certain button and getting the right combination of appendages in the proper location can be difficult, mainly to pick up and utilize tools in an operation. 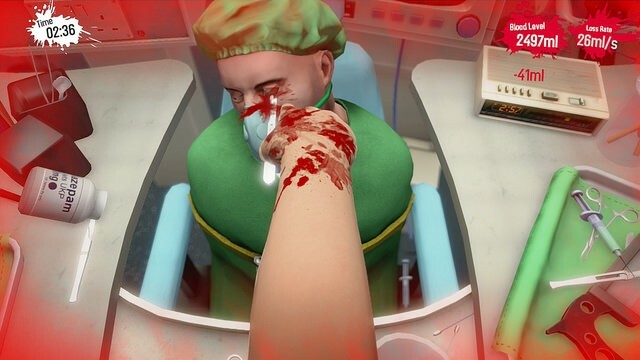 Depending on your ability to control your movements, you'll more than likely damage your patients at some point and cause them to lose blood (their lifebar). 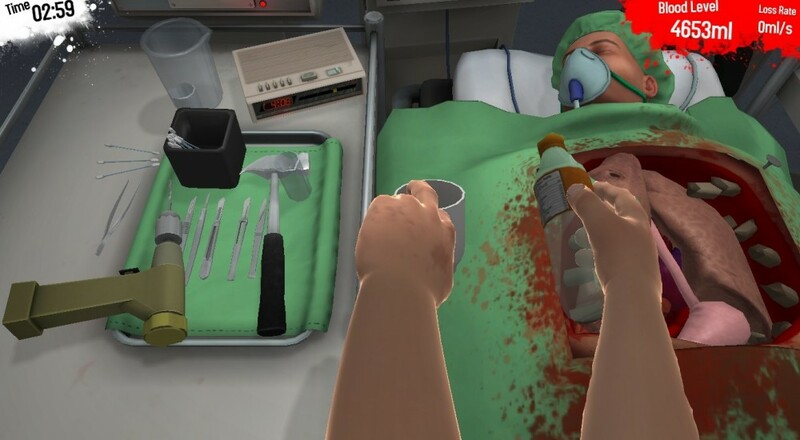 If you can complete the operations without losing your patients to blood loss, then you win. Simple as that, right? 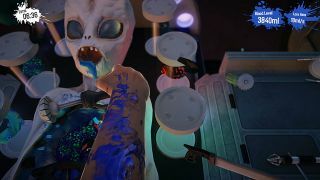 With a co-op partner, not particularly. Exclusively on the PS4 version of Surgeon Simulator, a local co-op has been implemented for up to 2 players! Each player will have control of their own hand and must work together to meet all objectives and not forcibly kill their patients (easier than you'd think). 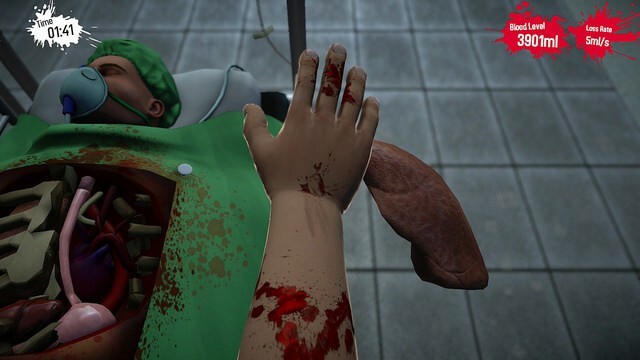 With double the hands in the mix, what could possibly go wrong? Additionally, the co-op mode will have a drop-in/drop-out feature for easy access to a helping hand. 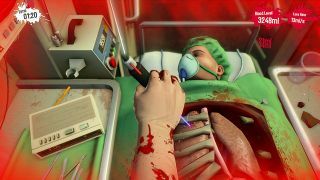 With 20 different operations, 5 locations, and a ridiculous co-op mode to work with, casual gaming with a partner . Grab the game now on PSN for $12.99 ($10.39 if you are a PlayStation Plus member)! Page created in 0.9309 seconds.